Trio HLK's 'Standard Time' has been selected as 2018's Critic's Choice by Gramophone Magazine! Jazzwise interviews this extraordinary ensemble. Trio HLK Grows Their Franchise in Italy! An excellent, in-depth article, by Marcello Nardi. When Trio HLK were putting together the wishlist for guests on their debut album, they figured they may as well aim high. So no-one was more surprised than them when both their targets, saxophonist Steve Lehman and renowned percussionist Dame Evelyn Glennie, agreed to come on board. "The serious jazz aficionados and poetic types in the audience are blown away." 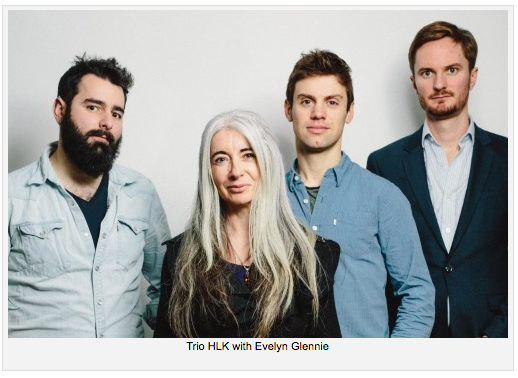 Trio HLK: Album & Tour!